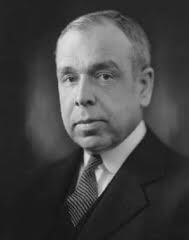 This excerpt from Machen’s Education, Christianity & the State reminds us that truly edifying preaching is based on the rich content of the Bible–and that study of the Bible is a suitable specialty to be developed in seminaries. One thing that impresses me about preaching today is the neglect of true edification even by evangelical preachers. What the preacher says is often good, and by it genuine Christian emotion is aroused. But a man could sit under that kind of preaching for a year or ten years and at the end of the time he would be just about where he was at the beginning. Such a lamentably small part of Scripture truth is used; the congregation is never made acquainted with the wonderful variety of what the Bible contains.